Sited where Ypenburg airfield used to be, this Vinex district lies wedged between motorways and railway tracks. The masterplan seeks to assimilate the landscape characteristics on site. Thus, for example, the former runway is now a broad central boulevard. 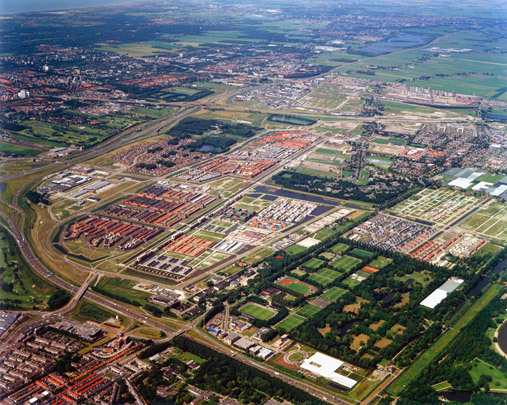 Five ‘fields’ - Singels, Boswijk, Venen, Waterwijk and De Bras - cluster around the district’s centre. Each field has its own ambience. Waterwijk features projects by Claus & Kaan, Bosch Haslett and MVRDV. In one sub-area of Singels, West 8 supervised an ‘organized chaos’ of dwelling types.